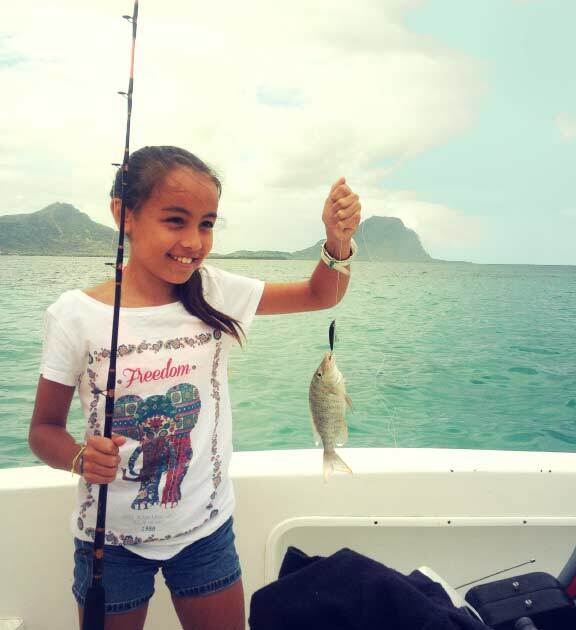 Fish Whisperer is a company based on the West Coast of Mauritius that offers five boating activities primarily focused on Fishing and Dolphin Watching in the region of Black River, Mauritius. 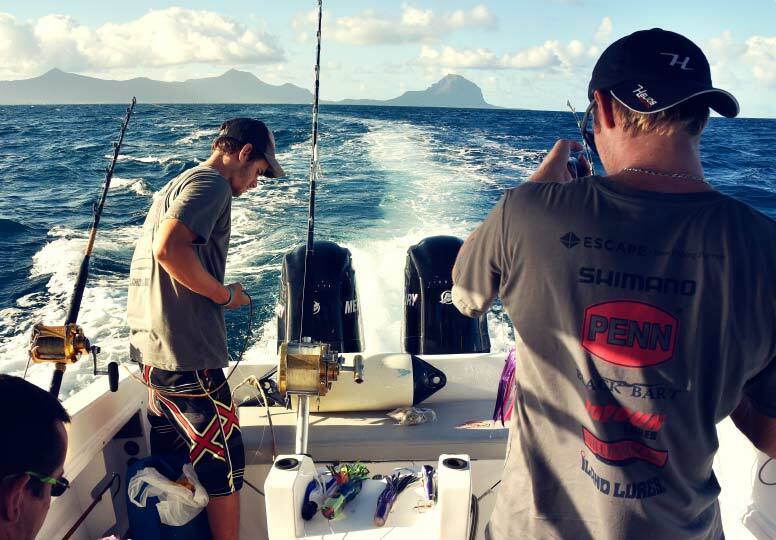 Fish Whisperer was launched in February 2014 by two highly passionate and experienced Mauritian fishermen namely: Ian Koenig and Michael Forget with the aim of offering a personalised service to fishing enthusiasts and those who enjoy a variety of sea activities. 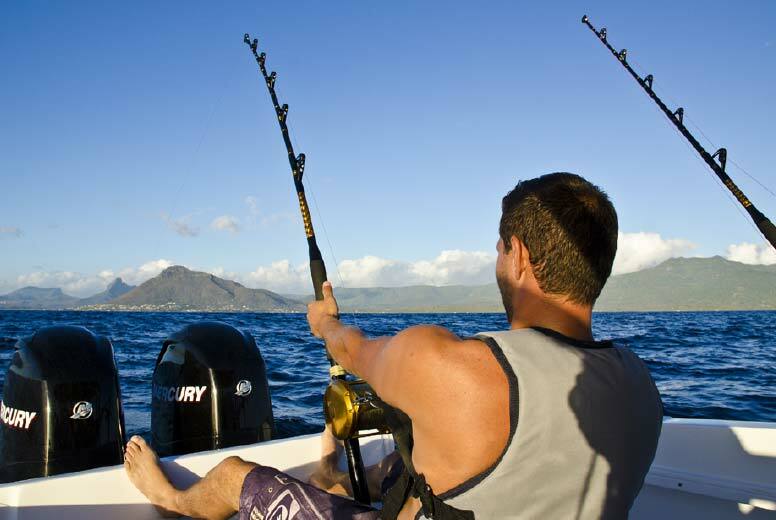 Apart from Fishing and Dolphin Watching on the West Coast of Mauritius, they also offer unforgettable boat trips that are customisable. 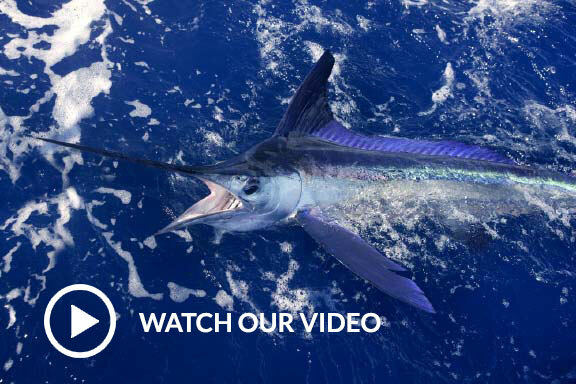 The Mauritian waters have built a well-deserved reputation for being one of the best destinations for catching a variety of Billfish such as Blue marlin, Black Marlin, Striped Marlin, Sailfish and Spearfish. On big game fishing trips, you may also encounter Hammerhead Sharks, Wahoo, Dorado (Mahi-mahi), Yellow Fin Tuna and Bonito. Ian and Michael will go the extra mile for you, so that you can put your inner Hemingway to the test. 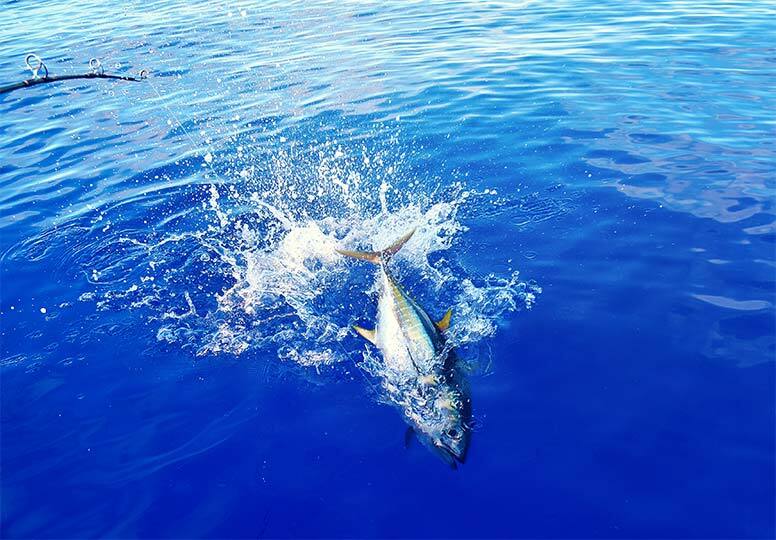 Yellow Fin Tuna, weighing between 3 and 25 kg are available all year round, off the West Coast of Mauritius. 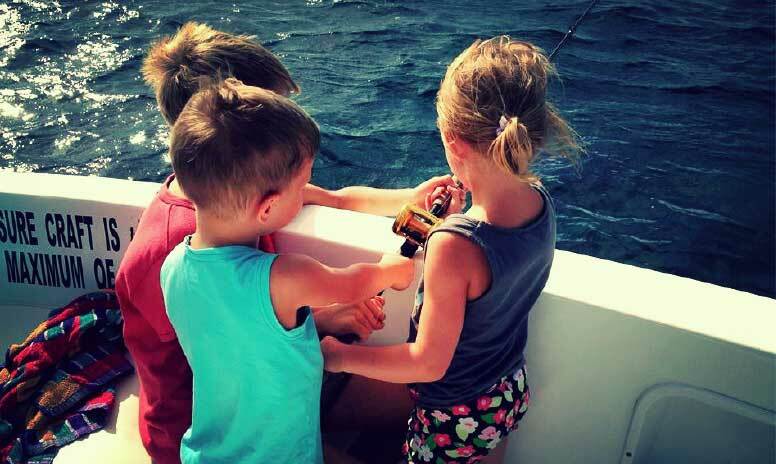 Our Family Fishing excursions are specifically designed to provide a meaningful and enjoyable fishing opportunity for the youth! We promote fishing as an alternative leisure activity and educate the youth in terms of angler ethics, fish identification and water safety to develop skills that provide a lifelong hobby. 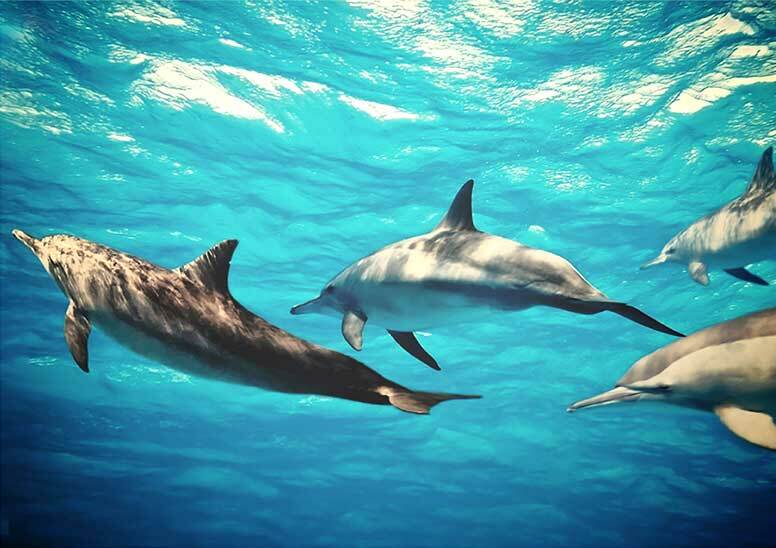 Dolphins are one of the most magnificent creatures living in the ocean. These mammals have shared a special bond with man for centuries. 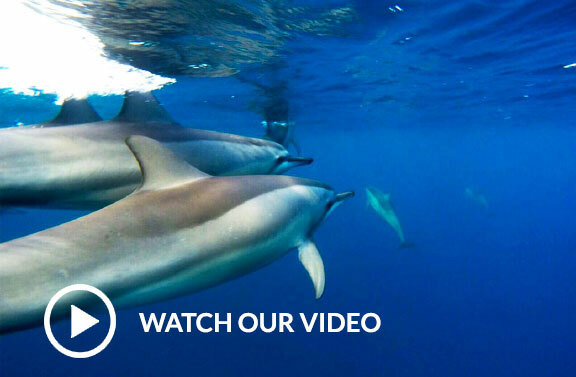 Dolphins, a symbol of intelligence and grace, can be encountered on the West Coast of Mauritius. 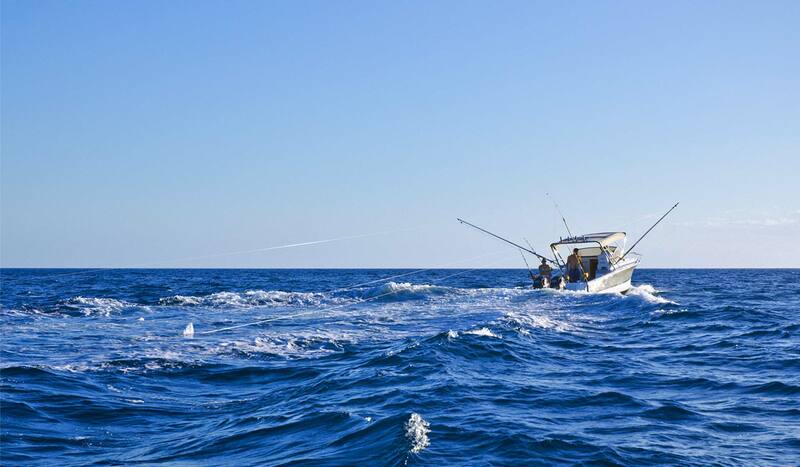 EXTASEA, a 22-foot boat, designed and fully equipped for big game fishing in Mauritius. 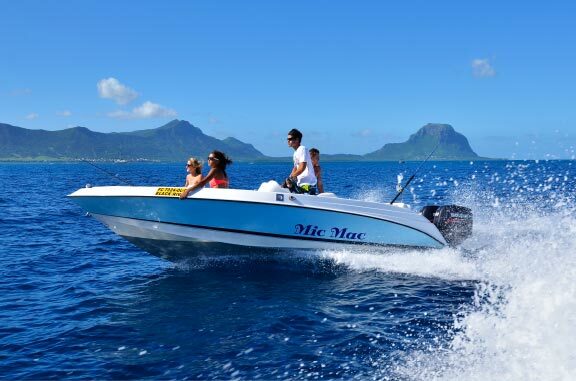 MIC MAC, an 18-foot boat, ideal for Tuna fishing and Dolphin watching in Mauritius.